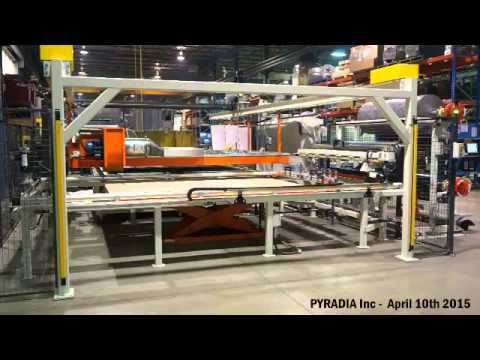 The web converting division of Pyradia has worked on multiple projects designing and manufacturing thermoforming equipment from single components to complete lines partnering with press manufacturers. Pyradia has a strong expertise particularly in the automotive industry serving OEMs such as manufacturers of Automotive soft trim interior components. As for all our web converting solutions, our engineering team is working closely with your team whether you are looking at new machinery following growth of demand or wanting to develop a new equipment to commercialize new products starting with in-house testing and engineering studies.